Is there anything more romantic than San Francisco in the early spring? The crisp air makes for perfect cuddle weather and the city seems covered in fresh greenery. 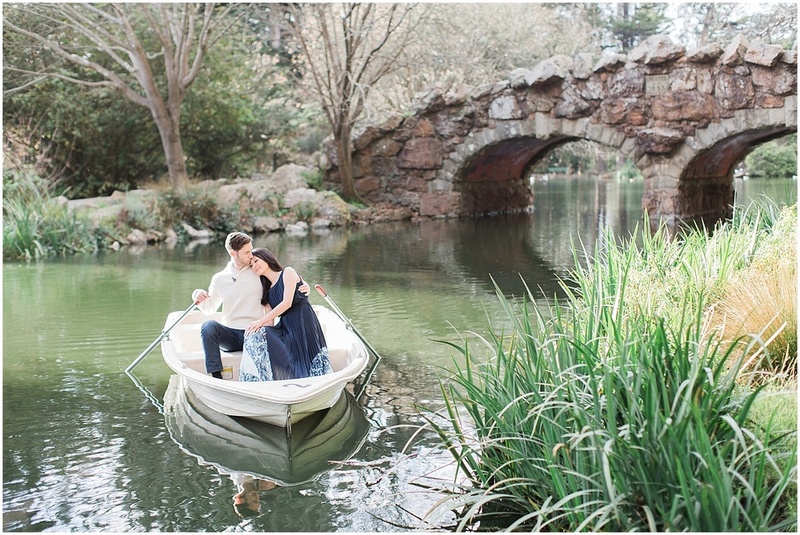 Audrey and Justin took full advantage of this magic time of year by venturing out to Golden Gate Park and cozying up in a little paddle boat on Stow Lake. These two were naturals and I was in awe of their perfectly chosen wardrobe! After leaving Golden Gate Park, we headed to the elegant Legion of Honor, where Audrey absolutely stunned in a complimentary blue and cream dress. 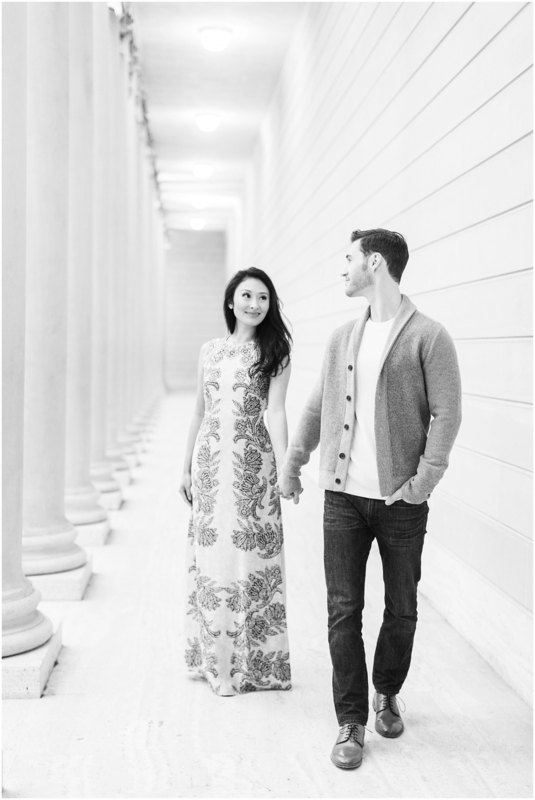 I am beyond excited to see what these two stylish love birds have in store for their June wedding at Meadowood Resort in Napa!